Oscar and his sister Linda, are recent arrivals in Tokyo. Oscar sells drugs for a living, and Linda works as a nightclub stripper. One night, Oscar goes to a bar to make a deal. But the cops are waiting, and in the panic that ensues he is accidentally shot. 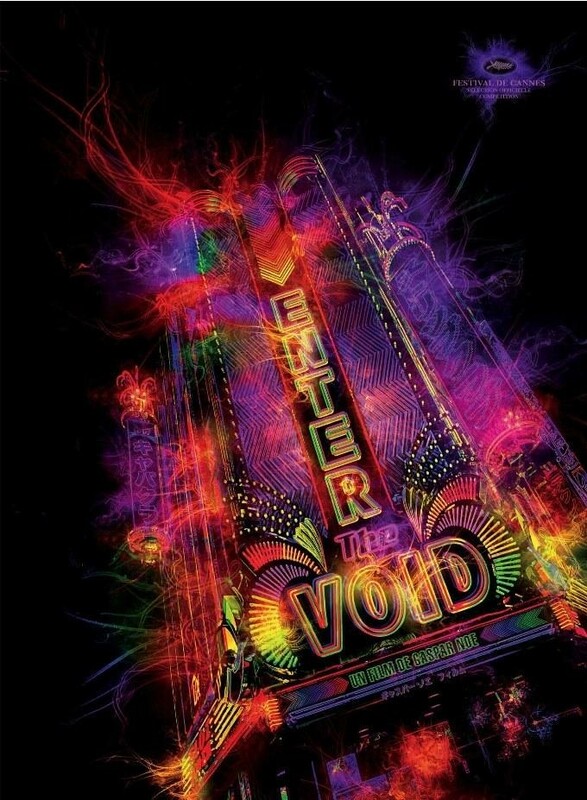 Enter the Void by Gaspar Noé (Irréversible), is a stunning visual masterpiece. Right from the opening credits, a jarring and brilliant sequence set to LFO's Freak, you know you are in for a unique cinematic experience. An absolutely surreal movie featuring some of the most amazing camera work I have ever seen. Hahaha, is there a money with drugs that isn't surreal at some point? I agree, right from the opening title sequence (which is one of my favorites of all time, as ordinary as it is when you think of it) you know you're in for something different. I was a bit stunned with the cinematography whenever I was shown something I wasn't used to, but in the end that made me happy. I actually had to go back and rewatch this because when I first started watching it I had taken an Ambien to help go to sleep. It started taking affect right at the first scene with all the weird effects. I didn't remember if that was in the movie or I was seeing those things. this is an excellent anecdote! i'm definitely going to try watching this film. i have mixed feelings about Gaspar Noe though.